With over 50,000 waterjet units installed around the world, HamiltonJet represents the latest in waterjet propulsion technology. They are the preferred choice for the efficient propulsion of a wide range of high speed work and Patrol boats, Fast ferries, Offshore crew boats, Fire boats, Fishing vessels, Recreational and Military craft. 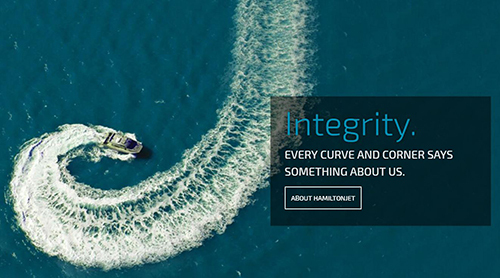 HamiltonJet – through the innovation and inspiration of Sir William Hamilton – pioneered the development of the commercial waterjet 60 years ago, and today each model is designed and built to the standards of the world’s leading certifying authorities. The manufacturing plant includes in-house foundries for casting both stainless steel and aluminium, modern machining facilities and extensive testing and inspection procedures.